Have you been injured in a truck accident? Most full size tractor-trailers weigh in excess of 80,000 pounds and travel at speeds, legally, up to 70 mph. When a car or SUV is involved in a collision with one of these tractor-trailers, the occupants of the smaller vehicle are often seriously injured while the operator of the tractor-trailer walks away unscathed. If you or someone you love has sustained a catastrophic injury, or even death, in a trucking accident, contact my firm Kleczek Law Office today. 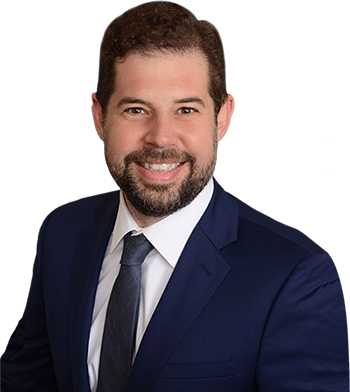 I am an experienced trial attorney who focuses my practice on personal injury claims. I have years of experience handling catastrophic tractor-trailer cases all over the country. Act now! Do not speak to the insurance companies without calling me first. Everything you say to the insurance companies can and will be used against you. Contact an experienced truck accident attorney at Kleczek Law Office. Contact our law firm to schedule a free initial consultation. The Federal Motor Carrier Safety Act (FMCSA) governs all semi-tractor-trailers and most smaller trucks. Vehicles governed by the FMCSA must adhere to strict recordkeeping requirements. Carriers, or those that employ drivers of vehicles governed by the FMCSA, must screen and train their drivers to ensure safe operation on the nation’s highways. Even when you’re involved in a collision with a smaller box-type truck, there are important aspects of the FMCSA that can apply. California has adopted many of the federal standards. Carriers and operators subject to the FMCSA must maintain driver logs, driver records and driver drug tests. These records may be destroyed, sometimes only after six months, so it is important to contact an attorney soon so that these records are not destroyed. When you or a loved one face tragic loss from a tractor-trailer collision, you need to make sure you and your family are financially taken care of in the long run. The FMCSA governs the operation of the tractor-trailer and the carrier themselves. There are federally mandated insurance policies carriers must maintain. The federal minimum liability insurance is $750,000 per occurrence. However, there are many different avenues of recovery that may allow an injured party to recover many times more than the minimum policy. In trucking cases, every possible path of financial recovery is often required to make the victims whole, and at Kleczek Law Office, we have the experience and drive necessary to ensure every aspect of liability is examined. 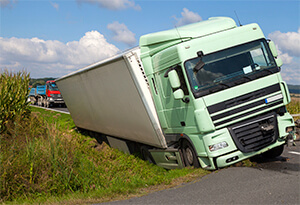 Contact an experienced truck accident lawyer today. Contact our law firm to schedule a free initial consultation.